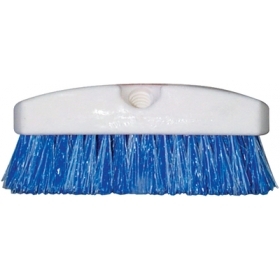 Block filled with a firm two color, chemical resistant, propylene bristle. Threaded hole fits standard broom handle. "Had what I needed and a smooth fast transaction." "I was looking for this special "hard to get" deck hatch and found it at BoatersPlusat, good price..."
"I love boaters plus. Very friendly staff and a large amount of products to order from. "